During this weekend’s Wargaming Fest 2017, it was announced that World of Tanks 1.0 would ship in March 2018 delivering major improvements to the game’s graphics (and optimization), audio as well as redesigned maps with destructible objects. That’s thanks to the new graphical engine, Core. This can already be tested via the PC demo available on the official website. The game is also available on PlayStation 4 and Xbox One, but it is unclear when and how consoles will receive the World of Tanks 1.0. Wargaming also expressed interest in the Nintendo Switch if the console’s installed base gets big enough. We’ll keep you updated, of course. One of the biggest newsbeats at this year’s WG Fest was the announcement of World of Tanks 1.0, which is less than three months away! Slated to hit production servers in March, it reimagines the game with a new graphics engine and over 25 ultra-realistic maps. This impressive revamp has been over four years in the making. It all began from our desire to bring the game’s visuals to modern standards, and was continuously fueled by three things: your feedback, technological progress, and performance optimization. We wanted to give the game a modern look, while also ensuring you can enjoy it on your rig. Simply tweaking the original engine to improve the game’s looks just wouldn’t cut it: technology evolved rapidly, and the BigWorld client engine simply couldn’t keep up. Much like we all do in a battle, we needed to plan a few steps ahead. In our case, it called for a solution that would support the latest technological advancements while having enough capacity to let us advance graphics in tandem with it. Also, we needed a technology tailored to World of Tanks. Hardly any graphics engine (both now and then) would fit these three requirements. So we brought client development in-house, created something specifically for World of Tanks, and named it for what it was: CORE, as it’s literally at the core of everything you see in game. What might look simple on paper definitely wasn’t that way in real life. It took our team three years to make it happen. Another year (and a crew of several hundred people) was needed to overhaul the game’s maps, recreating all in-game content from the ground-up using the latest technology for graphical content processing and rendering. Terrain textures, a water rendering system, skyboxes, a lighting system, shadows—we went over every single map element, redesigning them to add greater depth, beauty and realism to battlefields. Each map now has a distinguished flare and provides even deeper immersion thanks to a variety of new and improved technologies and effects. Vast expanses: We designed miles upon miles of outland so you can see beyond a map’s borders like you would in the real world. Realistic terrain: The new graphics engine let us blend 16 textures so that terrain looks truly volumetric, detailed down to the smallest blades of grass. Soaking and responsive water: Tanks and any other environmental object that interacts with water get wet, just like in real life. When a vehicle crosses a river, it disrupts water as it moves, and firing a shell creates circularly spreading 3D waves over its surface. Rich volumetric flora: Foliage reflects the seasons, and trees no longer resemble flat images. We added a good amount of volume to them and designed over a hundred unique trees and several variations for each ecotype to add diversity. Photorealistic skies: We added moving clouds and created photorealistic skyboxes for every map to give them a unique and dynamic feel. Advanced lighting: The lighting system features realistic shading/lighting models, environments, improved dynamic shadows and global illumination technology that accurately follows the natural lighting laws of physics, adding harmony to the picture. Destructible objects: The reworked maps get long-awaited Havok Destruction technology. So now you can gloriously crash environments, rolling over them as you rumble into battle. Post-effects: Bloom, god rays, chromatic aberration, and screen space reflection effects improve image quality and clarity of detail. We injected maps with extra detail, while also trying to keep gameplay-defining elements where they were for most maps. It’s a tough balancing act, but we believe that a few rounds of testing with you will get us there. 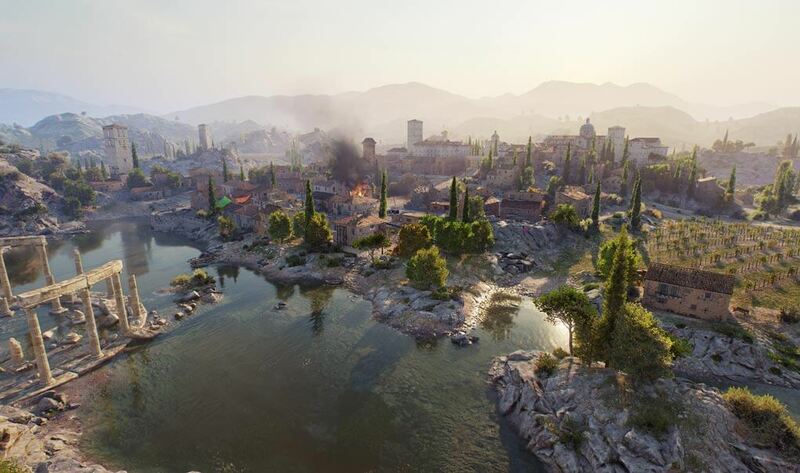 At the same time, we used this opportunity to fix gameplay issues you reported to us over the years about Fisherman’s Bay, Ruinberg, Pilsen, Erlenberg, Steppes, and Kharkov. For example, Fisherman’s Bay is getting a more balanced frontline. It will offer both teams equal chances at pushing key directions. The middle area on Erlenberg is getting a solid makeover: it’s much easier to read now, with visible lowland, denser forests, and fewer environments that have little tactical value. The enhancements didn’t end with visuals. We teamed up with over 40 composers and musicians from all around the world and recorded over 15 TB or rough audio data to improve your immersion in battle with authentic sound. 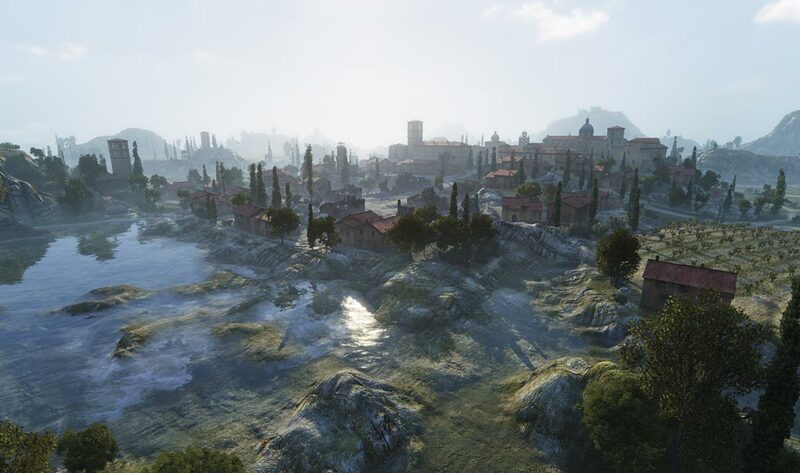 Starting with World of Tanks 1.0, music will resonate with the map setting, creating a unique atmosphere for each battlefield. Kazakh musicians will play traditional musical instruments as you roll over Lost City. Arabic composers will bring their musical aesthetic to Sand River, Airfield, and El Halluf. Gregorian chants will echo on Mountain Pass. You can sense map’s unique “character” well before the action begins with unique loading screen themes. Then, the sound will change depending on what’s happening to your team in-game. So, what stopped us from adding new maps and sound the minute they were ready? A few things. First of all, graphical advances naturally up the pressure on your rig, which wasn’t in our plans. We put in extra work to optimize stability and framerates on mid-range and older PCs, reduce the memory load even further and give you the headroom to enable extra effects. 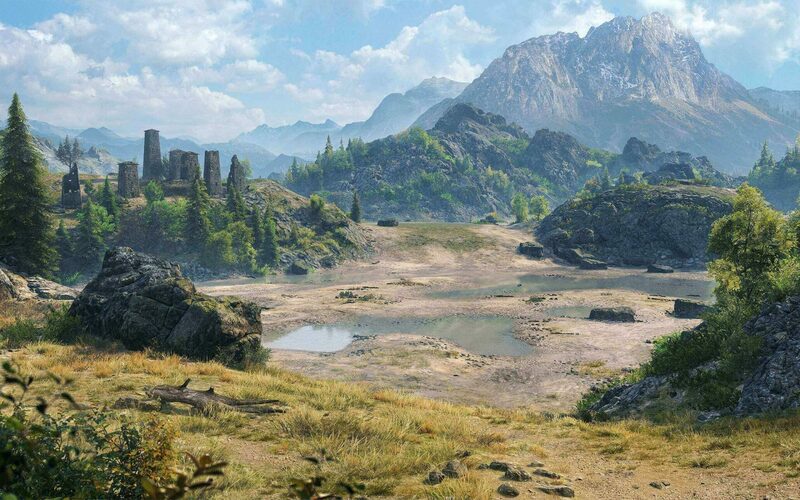 A special procedural virtual texture was introduced to deliver realistic landscapes with no added pressure on performance. The Adaptive Shadow Maps technology calculates shadows from static objects and saves them in a special reusable shadow texture, reducing the load on the graphics card and processor. Graphical subsystems were reworked using streaming technology to reduce the overall memory footprint of graphics. The heavy-on-performance reflection generation process was replaced with the Screen Space Reflection algorithm, significantly lowering the load on the graphics card. We implemented multi-resolution particles to smooth out FPS drops when multiple particle effects are being simultaneously rendered on screen (e.g. explosions and fumes). Besides, it was technically impossible to add redesigned maps in batches, we had to switch to the new engine for it, and it doesn’t support old graphics. Now imagine having several maps in rotation and playing them over and over. You’d get sick of them quite soon, regardless how sleek they look. However, that’s all in the past. With several optimization iterations, a few internal tests, and another round in Sandbox (thanks again for joining us there! ), we’re nearing the finish line. We’re already 25 maps down, and almost ready to go! “Almost” stands for several more internal and open tests.